Through full-time and Church-service missions, seniors can help others in many ways. Visit the redesigned senior missionary Web site to learn about opportunities, watch videos of missionary experiences, review frequently asked questions, and learn how to apply. Full-Time Senior Mission Opportunities. Full-time senior couples and senior sisters serve in member and leadership support or various fulfilling assignments throughout the world. Church-Service Mission Opportunities. Church-service missionaries build and support the operations of the worldwide Church. 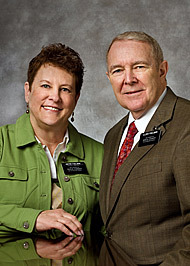 Graciela y Alberto, envié su solicitud al departamento SeniorMissionaries@ldschurch.org. Espero que ellos les contesten.